Above is the view from one of the fire platforms that make up the giant kanji symbol dai (great). Every August 16, the platforms are stocked with wood and ignited during the yaki – burning festival. A giant dai can be seen all over Kyoto. 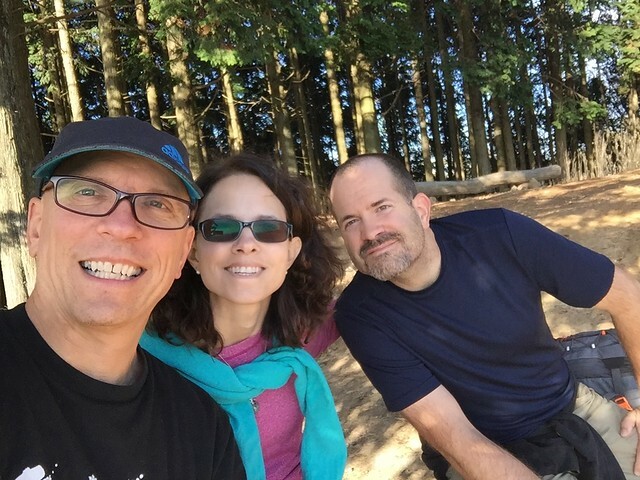 During the rest of the year, it makes for an beautiful hike and with my brother here, I took advantage of a gorgeous autumn day and went with him and his wife up the mountain. As you can see, the views over the city were breathtaking. 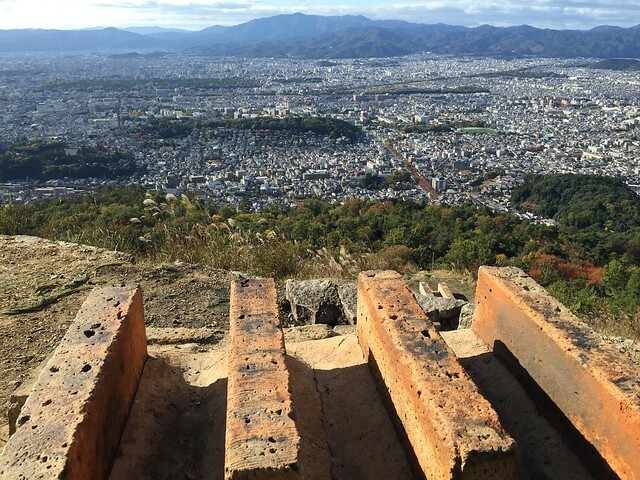 Taking a break at one of the many viewpoints over the city of Kyoto. Kyoto has thousands of temples, shrines and historic homes. It was the the capital of Japan for 1000 years, and unlike most of Japan, it was not destroyed in World War II (thanks to US Secretary of War Henry Stimson) and most of the history is preserved. The hike starts at Ginkaku-ji or the temple of the Silver Pavilion. It dates back over 500 years. It was originally the retirement villa of a shogun (hereditary military dictator) and it now is a Zen Buddhist temple. The Zen gardens of rock, trees and streams are serene and it would make a nice retirement pad. The main worship hall is not with silver anymore, but it is relaxing to visit if there are not too many tourists. The trail is well-marked and we followed the description in the Lonely Planet’s “Hiking in Japan” which I highly recommend. 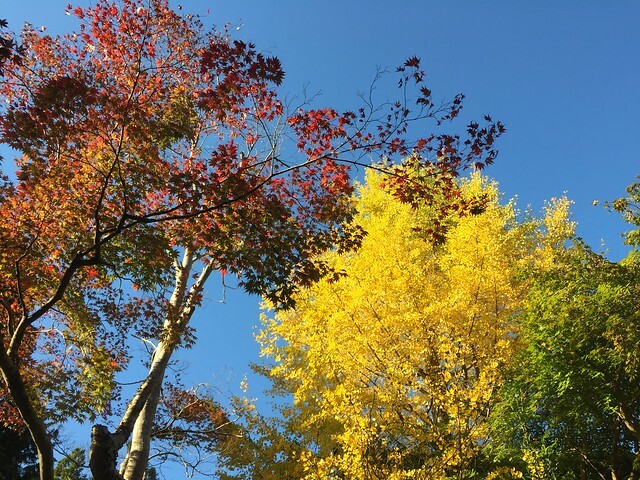 The blue skies and autumn colors made it a glorious day that we will not soon forget. We didn’t do the entire trail that leads to the “philosopher’s path” but made our way back to the starting point after getting a bit past the burning site.